For the woman who enjoys a hint of drama. 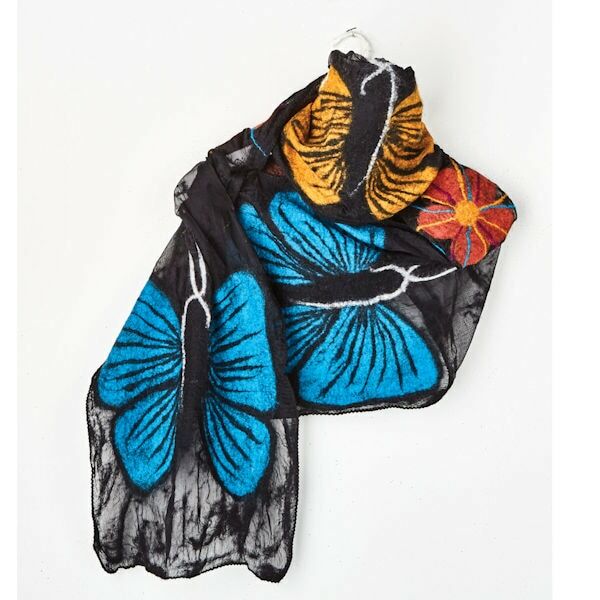 Sheer black silk chiffon is the ideal surface for brilliant blue and orange butterflies and bright red flowers. Handfelted wool appliques on silk chiffon fabric. 13" x 76". Handwash. Imported.